"The wood monster is dead. I know this is true because I killed it. And yet my dreams are still full of fear and pain . . ." To keep her best friend, Navin, from being killed at the hands of vicious wood elves, Donna Underwood stole the elixir of life. Now she's facing an alchemist tribunal while her mother lies dying, succumbing to the elven curse that shattered her mind. 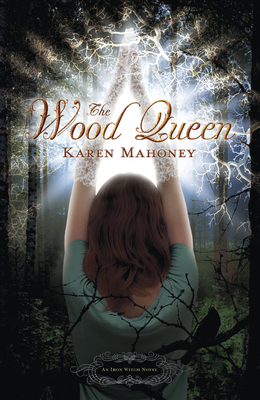 In desperation, Donna seeks an audience with Aliette, the fierce and manipulative Wood Queen, who offers a deal: if Donna can use her strange and burgeoning powers to help the wood elves, Aliette will free her mother from the curse. Along with Navin and Xan, the half-fey guy she's falling for, Donna struggles to unlock the secrets of her iron tattoos in time to save her mother's life. But some secrets are better left untold. Book 2 in the explosive Iron Witch series. Karen Mahoney (United Kingdom) has been published in the anthologies The Eternal Kiss and Kiss Me Deadly (both by Running Press). She has a highly trafficked blog and is also part of a group blog that includes New York Timesbestselling authors. Visit her online at KazMahoney.com.